Here is the quick list of the top two dating sites in Japan. I’ll go into more detail in my reviews later in this article. The best online dating sites in Japan are not as big in size as the best online dating sites in other parts of Asia such as the Philippines and Thailand. Online dating in Japan still has a bit of a social stigma attached to it. Even today, only a small fraction of the population has signed up to an online dating site as most Japanese believe it is more acceptable to meet potential mates via the traditional methods of mutual friends, organizations, work, school, etc. However, I do believe this will change and internet dating will become more mainstream with time. Despite what I said in the paragraph above, Japan does have a couple of online dating sites that are worthwhile and have a decent number of members. If you are determined to find a Japanese sweetheart, you definitely can succeed. You will have to work hard and prepare for the inevitable rejections, but that is a small price to pay for having a cute Japanese woman on your arm one day. Without further ado, here are my detailed reviews of the top two dating sites in Japan. Japan Cupid went live in 2005, as a niche dating website under the Cupid Media Network. As part of this network of over 30 niche dating sites, JapanCupid benefits from a simple, clean website design and useful, battle-tested features. Due to its targeted niche, JapanCupid is not as large of a service as other Asian dating sites (e.g. AsianDating), and finding English-speaking members seems more difficult here than on other niche sites. But with JapanCupid’s handy message translation tool at your side, you won’t have too much trouble. Overall, if you’re looking for a Japanese match, you’ll benefit from using this site. You could be signed up and chatting with JapanCupid singles in the time it took you to read that last paragraph. Begin with your name, gender, email and a password, or sync up your Facebook account. To finish, fill out a brief About Me section, describe your ideal partner, and your sign-up is complete. At this point, you can either finish filling out the rest of your profile, or you can get to searching for matches. If you decide to move forward with an unfinished profile, know that you’ll be asked at times to fill out more of your profile before moving forward. There are two possible search options for finding a match: searching and browsing. You can narrow down your search to a more manageable number by specifying criteria such as age, location, education, marital status, religion, and even their star sign. If you’re looking to actually communicate with other members on JapanCupid, you’ll need to upgrade to a Gold/Premium membership. Communication options are limited as a Standard member. You can message freely with premium members, but, between other Standard members, you’re limited to “showing interest”, sending blocked, unreadable messages, and adding profiles to your favorites. None of these features lead to conversation, unless of course one of you upgrades to Gold or Platinum. Once you do bite the bullet and pay, you are well rewarded, with Instant Messaging, audio, and even video chat available to you. With these options, you can communicate with any member. JapanCupid has a number of unique features that contribute to this site’s ease of use and power in matching you with compatible profiles. First off is the detailed personal profile, packed with opportunities to differentiate yourself from the pack and ensure that JapanCupid’s recommended matches will be just what you’re looking for. Next, there are powerful and varied search features to help you narrow down your search for a perfect match. Finally, the anti-spam measures are excellent, ensuring that all the profiles you connect with are genuine. 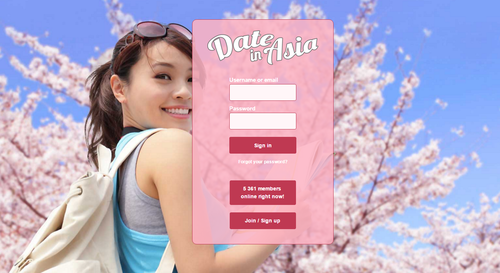 With about one million registered users, DateinAsia is popular in the Asian world, but it is really a last resort option for Japan. The site is completely free, which unfortunately, brings a lot of issues. DateinAsia suffers from a boat load of inactive profiles, users that spam you or try to con you so that they can make a quick buck. The interface is fairly basic, offering minimal features. My recommendation is to devote your energy to JapanCupid and only use this site when the well runs dry on that site. Enter the username you’d like to use and your password. Then enter your location, email address, birth date, gender, and the gender of your match. Confirm your email address and then put in a valid phone number. This number is used to verify your identity via SMS. If you don’t fill this in within seven days, the site deletes your profile. Write an attention-getting headline and a short paragraph in the About Me section. 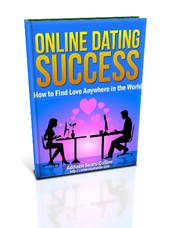 Add more information, such as your occupation, education, appearance, and what you’re looking for in an ideal match. Upload a beautiful picture of yourself. Basic filters profiles by gender, location, and age. Advanced ads filters for the basic information you entered when you signed up, such as appearance, occupation, and religion. Communicating is through basic messaging. If you find profiles you like, add them to your favorites, show an interest in them, or send basic text messages. Visiting someone’s profile also communicates interest since they are notified of your visit. This is a painless way to have others become curious about you and visit your profile. I’ve been a member of countless dating sites over the years, and DateinAsia may be the first one I’ve looked at without a single original feature. Everything is basic, which in itself, makes the site unique. The standard membership includes everything.